Pete Rann started his musical career after a school friend introduced him to the legendary Mike Allen hip hop/electro show on Capital Radio back in 1985. This exciting new scene inspired him to get a pair of Technics SL1210s and start to DJ. Whilst accumulating a large record collection with frequent trips to all the underground record shops around London, he soon discovered the electronic delights of Chicago house and early Detroit techno from artists such as Larry Heard, Juan Atkins and Kevin Saunderson. Pete also embraced the emerging rave culture at the time. He attended his first ever party, Yikes at the Slough centre with the likes of Trevor Fung, Evil Eddie Richards and Jumping Jack Frost. There followed an outdoor party in a vast clearing around 1990, with the sound of Joey Beltram’s Energy Flash being played. This proved to be a pivotal moment, leading to an interest in Euro/bleep techno and early break beat music from Shut Up and Dance, Reinforced Records and the Moving Shadow label. From there, the musical journey continued to early jungle, techno and electronica. During this time, Pete had been honing his mixing skills and started compiling many mix tapes. As drum and bass started to emerge, two artists LTJ Bukem and 4-Hero really caught Pete’s attention and he found himself being drawn to the more musical side of the genre. The passion to DJ continued and he managed to win a few competitions in the process. One was a drum and bass mix for the legendary Eternity Magazine, the other was for Muzik Magazine’s ‘Bedroom Bedlam’. A slot at the legendary Blue Note in London beckoned after winning another competition, resulting with a set alongside Nicky Blackmarket. This lead to stints playing at various clubs and bars around the London area as well as numerous residencies in Brighton where he lived for some time. Whilst there he also co-promoted a night with Stuart Cullan (aka Pilote on Certificate 18 records), a hip-hop/funk night at the legendary Jazz Rooms and a long lasting residency at an infamous after hours bar on Brighton seafront playing drum and bass and general electronica. It was around 1994 while listening to Fabio and Grooverider’s radio show, hearing music from the likes of Nookie, Photek, Omni Trio and Foul play that the creative juices really started to flow. An avid fan of Fabio in particular, Pete attended Speed at the Mars Bar in London where the ground breaking fusion of Detroit techno, Jazz, funk and drum and bass could be heard. Having been a fan of Goldie and the Rufige Crew sound also, he was a regular at the infamous Metalheadz Sunday night Blue Note sessions. Taking inspiration from these clubs, the diverse music scene of Brighton and other artists/labels such as Carl Craig, Richie Hawtin, Laurent Garnier, A Guy Called Gerald and of course Goodlooking Records, Pete turned his hand to production and purchased his first studio set up. His first ideas were what can only be described as techno influenced breaks but very synth based, he also started naturally to produce drum and bass. A chance demo sent to 720 degrees label owner Blame, after reading an interview with him in Future Music, led to a very encouraging response. Continuing to make eclectic music, his first official release came in 2001 with a track entitled Spiral Motion for the down tempo label Tru-Thoughts. Now a bit more confident with his drum and bass output, Pete sent a demo to LTJ Bukem. Surprisingly he received a phone call from the man himself, “A most surreal experience” he adds, “I’d spent years watching LTJ Bukem on the decks, now I’m talking to him about life and signing tracks to Goodlooking!” His debut track Free Spirit did very well with its frenetic mix of techno and funk. It received rave reviews as did the follow up Abacus and the Piano classic Mind Fuel – a fusion of atmospheric soundscapes with deep Detroit sounds which appeared on sister label Looking Good. With his unique style now in full bloom, Pete continued to record for other similar labels including Fokuz Records and Camino Blue. He also had a significant amount of output on Strictly-Digital, which was one of the first MP3 download sites catering for the more atmospheric style of the genre which was run by drum and bass veteran Nookie. 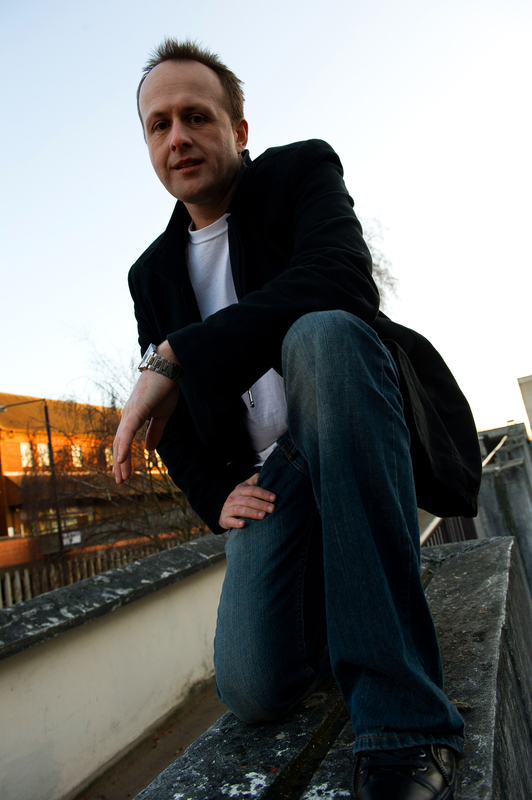 In 2009 he set up his own label Pete Rann Music, releasing an eclectic selection of genres including drum and bass, downtempo, Detroit techno, nu-jazz and general electronica. This culminated in the release of The Running Man EP, Run Don’t Walk EP, Purpose Tremors EP and a single, Lost. Recently he has released several EPs through Omni Music. Musically, he continues to be open minded producing a selection of nu jazz/broken beat, deep house, techno, drum and bass and electronica. As a DJ, he has made numerous guest appearances on the radio and has also been lucky enough to play alongside some of the scenes biggest names both home and abroad including Holland, Germany, Estonia, Poland, Lithuania, Austria and the USA.